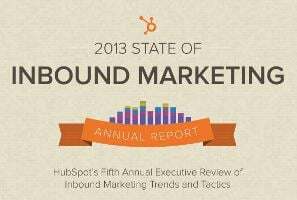 HubSpot has released its 4th annual State of Inbound Marketing. Have you seen it yet? Here are my key takeaways, including 6 charts I found particularly insightful. Of the 3,339 marketing professionals surveyed, 60% are doing inbound marketing in 2013; they have allocated 34% of overall marketing budgets to inbound tactics (11% more than on outbound tactics); 48% intend to increase their committment to inbound marketing. 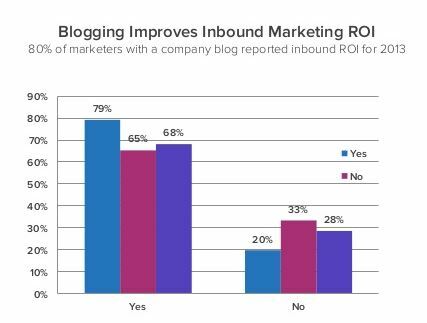 Furthermore, those surveyed report that inbound marketing, compared to outbound marketing, delivers more leads at less cost and which convert at higher rates. My interpretation of all this is that marketers are reacting to traditional marketing performing less effectively than in the past. They are increasingly seeing the value of being intensely customer focused. They are applying that customer focus to their online strategy via inbound marketing. They are seeing results in terms of increased traffic to their website, greater conversion of traffic into leads, and eventually into customers. "Inbound marketing is a holistic, data-driven strategy that involves attracting and converting visitors into customers through personalized, relevant information and content – not interruptive messages – and following them through the sales experience with ongoing engagement. Over the past five years, marketers have witnessed a tectonic shift in strategy, from campaign based interruption marketing, to a consistently measured, closed-loop inbound marketing strategy – one that pulls interested customers to your company and creates lasting relationships." "Your website is the hub of all marketing efforts. All of your email, social media, and back-end SEO magic will ultimately point your audience to a page on your website to convert. As a consequence, your website conversion rate – how effectively your website does what you want it to do – is a major factor in determining your digital marketing success. You may have exceptional content and a killer strategy, but if your website is confusing, you will never achieve your inbound marketing goals." Based on the 4th Annual State of Inbound Marketing, I'm not alone. Which I find wonderful! 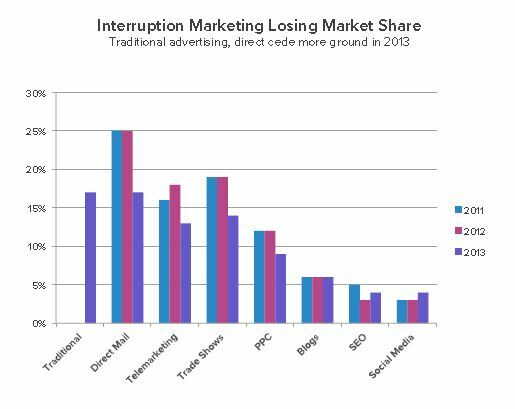 I hope it means that the days of interruption marketing are numbered; instead interested prospects can opt-in to company communications based on their level of interest and the relevance (and remarkableness) of the content. Which places the responsibility on marketers to deliberately identify what pain points customers face, how to help them, how to educate them and demonstrate value for them. Easy, right? What have you noticed in your markets? Is traditional advertising as effective as it was for you? What are you doing instead? What analytics are you using? At the very least I hope you have implemented Google Analytics. Otherwise, how can you monitor, let alone measure your inbound marketing. 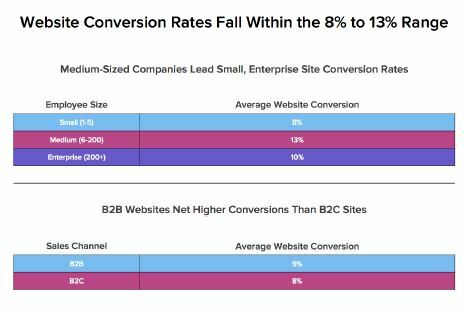 What is your website's conversion rate? How do you rate compared to these averages? 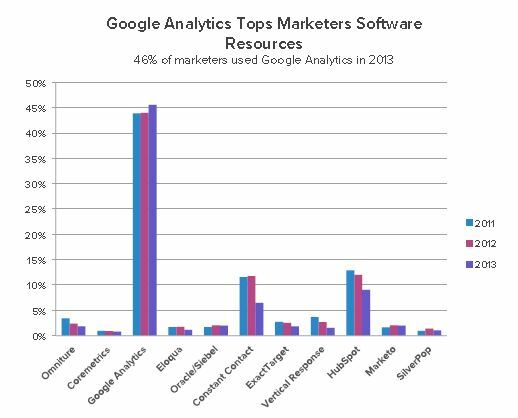 "The chart above looks at both the time and budget marketers allocate to their various strategies. Clearly, maintaining a regular social media presence takes some dedication, but it also requires less budget influx than other marketing tactics. 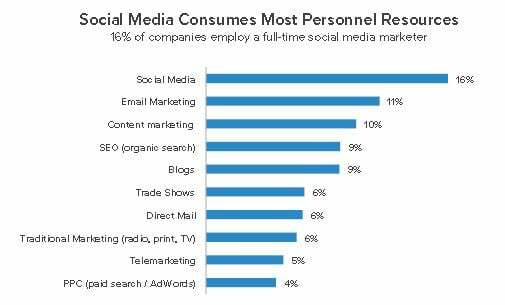 Further, the 16% of marketers who dedicate their time to social media in 2013 will also deliver the highest proportion of leads, at 14%. 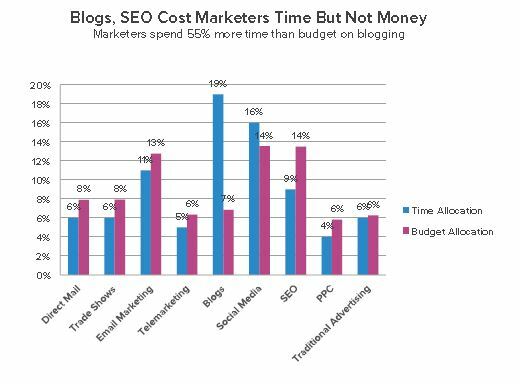 Similarly, while blogs require roughly 9% of marketers’ total full-time staff dedications, they also demand just 7% of marketers’ total budget outlay this year. This chart looks terrific when you consider 43% of marketers generated a customer via their blog with less than 10% of total time allocation." This chart further supports the reality that inbound marketing, content marketing and digital marketing take time. However, they represent cost-effective uses of time as they help companies connect with customers and generate business results. I encourage you to read the entire State of Inbound Marketing (only 175 pages). Let me know which charts and observations you find most insightful.